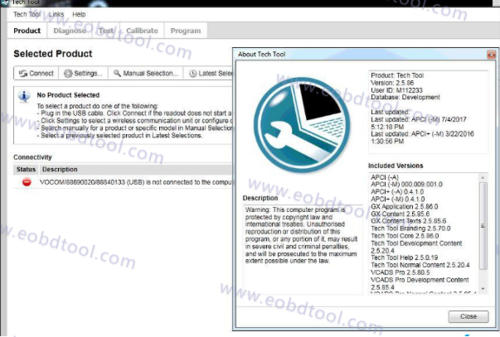 Volvo Premium Tech Tool PTT is Volvo diagnostic software work with Volvo Vocom Interface for Volvo truck diagnostics, Volvo PPT is Premium Tech Tool Software, which update to volvo tech tool 2.5.86. How’s it work on Volvo trucks? Is the volvo PTT tech tool software reliable? Here share Eobdtool.com Premium Tech Tool reviews on Volvo and Renault trucks share for refrence. With Eobdtool.com Volvo Tech tool 2.5.86, reprogram cluster to get full menu like faults codes,psi reading from air bag,or add step motors to pcb,change face plate and convert basic 7 gauges to 10 gauges. 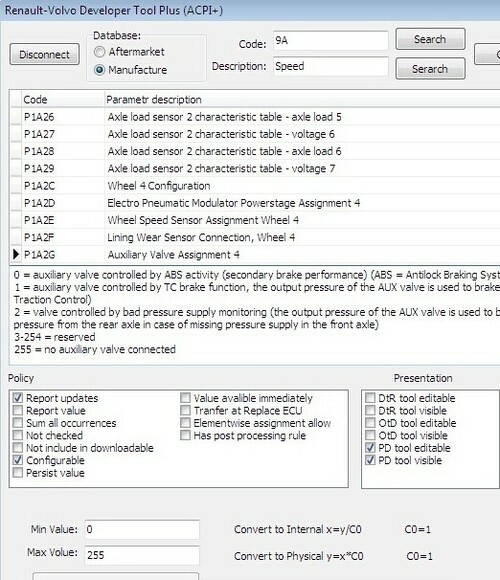 Change speed,chassis id,foglights,test is under dev mode.Reprogram ecu like swap ecus from Volvo/Cummins to Volvo/Volvo, or auto to manual swap reg.other software and files…. For further questions about Volvo PTT Volvo Premium Tech Tool don’t hesitate to contact us.